I just wanted to say thank you Mr. Vance! I am a disabled Marine now, and I have rekindled a love of reading and found you adventures a very nice surprise. It amazes me how wonderful and ingenious your writing is compared to the same old story we see rewritten today by so many. You truly have given me many fond hours of reading and exploring your universe and worlds. May you be found and kept well, wherever you are! Maybe with Mazirian the Magician? Here's to a man that gave me so much joy in my youth with his grand Demon Princes novels. I tried to leave a message to him a few years ago, but was unable to get through. Jack, I'm sorry I missed ya, so may your travels be Heavenly! from a jumble sale when I was a teenager in the early 90s. As soon as I read it I was hooked and had to ask my local library to order in the other two books in the series. Since then I have read and re-read Lyonesse 1, 2 & 3. And my sister bought me the Dying Earth series a few years later. How remarkable a talent Jack Vance had! I can't believe he is not more well known in the UK. So underrated, understated and bypassed at the reader's peril! Jack Vance is the writer who remain in my heart forever. The one that always makes me laugh, even by reading a book for hundred of times. A humanist and humorous writer. I have so much things to say about his fabulous work. I read a lot of fantasy , science-fi, or classical books. But when I'm running out of stock, or when i read a boring book, i take, everytime a Jack Vance ' book! He's a great one, he was a great man! My my! Look at the hundreds of toasts and tributes, Jack. You sure made an impression on a lot of good folks. Well.....one assumes they are good. I suppose there could be a few jackanapes and villains lurking within the ranks. And, as such, I will add my two dinkets. You flipped a switch in me some sixty-plus years ago. It heightened my imagination, my love of language and made me laugh. Thanks. The best sf writer i have ever read. His genius was obvious in every book. I have bee reading science fiction since I was 9 years old. I am now 64 years old. Mr. Vance's work has been my primary consolation all of my life. I have read and reread his work hundreds of times. Fair winds and far horizons, Mr. Vance. You take my thanks for your work wherever you may gave gone. Damn' !! I just only heard of it ! His style, his humour, his marvellous travelling capacity which he used to study mankind... well, I loved and enjoyed it all along. So, thank you Jack and fare well. What makes my pain lighter is that I'm sure you've influenced so many artists that I'll see you sometimes in the works of others. Having read and appreciated 'Tschai' at a young age, it took me a few years to read it again. Only then did it dawn on me how well this story was actually written. How imaginative and articulate and witty the author really was. Now, several years and many of (2nd hand) Vance books later, it continues to amaze me in every story how present-day his ideas and characterizations are, how ingenious the plots and trickery, how ironic the observations and how original the peculiarities of described people, societies and phenomena. It also makes me wonder how encyclopedic his knowledge was, in an era partly before pc and internet. Raising a quality beer to Jack Vance right now. Thank you, Jack, for making my youth a time of more wonder and excitement, and for brightening my life with your wonderful stories and characters. They say you're never really gone until the last person that remembers you is gone too. In that case, Jack will be around for a very, very long time and thank goodness for that. I read a lot of science fiction when I was in college and graduate school. I was pursuing a science degree and the stories were great escape since all the experiments worked. I quickly realized that there were various levels of writing ability on display from the various Golden Age writers. All could tell a story, and all had their points, but this guy Jack Vance that I kept running into in anthologies was really in a class by himself. His stories could be gripping adventures, human dramas and even interesting personality interactions, but there was always a subtle mental aspect to the characters in them as well. I quickly learned that you do not "skim" a Jack Vance story or he'll throw you some subtlety that you will miss through inattention and then five pages later you will have to backtrack and catch what he slyly partially concealed from you in order to make sense of the rest of the story. I don't think many writers had the handle on human motivation that Vance did, and I don't mean just science fiction writers either. He elevated to literary art a genre that most people thought were one step above comic books back when he started. His use of language could be daunting, but it would send you to worlds unimaginable once you started understanding it. Si Tibi Terra Levis, Jack. Many hours have I spent reading his novels, and pondering his magical words and worlds. For me, he was one of the great writers of the 20th century. There are still a few of his novels I have not yet read - looking forward to them! My path led me to this site and to remember the life of Jack Vance - an extraordinary storyteller! Difficult to adequately express not only the pleasure I gained from Jack's books over the years, but the guidance and ambition he helped me to develop growing up. Will there ever be the like again ? Because of Mr. Vance's dedication to a literary genre not all that well thought of back in the '60s, he taught me the lesson that good stuff is where you find it, not where you expect it to be. Being one of the best American prose stylists of the 20th century reinforces that lesson. Dear Jack, when I was 10 you galvanized my imagination with the Dying Earth. I am still resonating with your words, more than 20 years later. Sometimes I see you, perched by a waterfall where a bank of purple foxgloves gathers the cool mist. Dusk is slowly dissolving the landscape into heliotrope and amber, and I see you among comrades, eating choice viands and chuckling at some wry afterthought. Chock a Block with humour and demonstrations of his wry (but never mean spirited) wit, a session with a Vance book always left me entertained and optimistic. I was obscenely happy when I received my copy of the Vance Integral Edition and saddened by his loss shortly thereafter. Jack has just left us on the dock. He barely waved goodbye, his mind already contemplating the coming journey. I hope he has time to write home, but I am not betting on it. Farewell, my friend of so many adventures. You have to face this one all by yourself. As always, I expect that everything will all right. 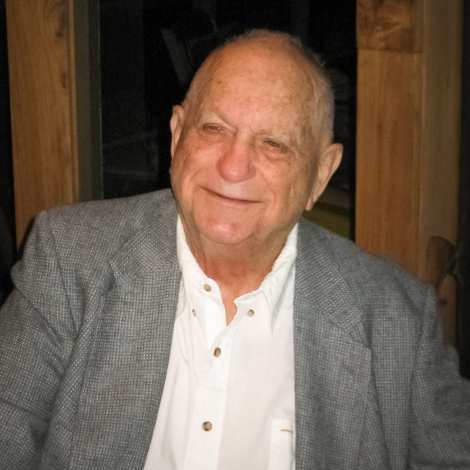 I first became aware of Jack Vance around the age of 10, in the mid to late 1950's. I fell in love with T'sais and T'sain, and was completely enchanted with the concept of the dying earth, something no-one else has ever used as a backdrop to such beautiful stories. Since then, over the decades, I have managed to "keep in touch" with Jack Vance through Cugel and Iuconu, Kirth Gerson and the Demon Princes, Joe Bain, and literally hundreds of other characters from his seemingly infinite imagination, and now, with e-books, I've managed to acquire and read every one of his works. Through war, peace, trouble, good times, for me there has been one constant, one source of beauty, adventure, in short, life: Jack Vance, and for that I am very thankful. How many times have I been in a situation, and thought to myself -- what would a Vancian character (take your pick of which one) do? Thank you for the good moments -- and also the practical advice on how to live and how to be. Jack Vance, Le prince des étoiles (The Star King), m'a fait voyager. Il a toujours été depuis lors, mon auteur de SF favori. Tant de souvenirs de ses univers me semblent être des souvenirs vécus. Je ne saurais dire combien de fois j'ai relu (et revécu)les aventures d'A.Reith sur TCHAÏ, ou de K.Gersen... Emphyrio...celui qui a amené la vérité... était mon surnon sur la CB avant l'internet. Un grand merci a JVance là où il est. In 1976, at age of 12, I read my first book, Durdane, and I was immediately in love. The second book was Tschai and after that book I read all your books. Thanks for the good times you have given me. Jack, the wooer of hearts, souls, and minds. Creator of playlands for the imagination and spirit. I found you so late but at least I found you and I love you. Sweet dreams. Happy birthday, old chap. This is to your memory! J'ai 50 ans, et cela fait maintenant 35 ans que j'ai fait ta connaissance. Tu m'as donné beaucoup de bonheur et reste mon auteur favori. C'est avec toujours autant de plaisir que je te relis. Un très grand merci à toi pour ces moments si précieux. J'espère transmettre le virus vancien à mes enfants ... Tu a apporté de la joie et tu continueras longtemps à le faire à un grand nombre d'être humains. Peut t'on attendre quoi que se soit de mieux d'un homme ? Encore merci Jack, et bon vent ! Discovering his writing by chance was one of the finest things that happened to me. I often feel a profound resonance in my soul when I read his books. His beautiful capture of wistfulness, melancholy, whimsy, and poignancy have brought tears to my eyes and a big lump to my throat on many occasions. Suldrun has just departed her garden, and I can feel summer coming to an end in the same way. The humour of his irascible pedant, tart language, and complex societal structure is such a fantastic contrast. How can a monster be both amusing (it hoots!) and scary at the same time? How does a troll's head end up trapped in a pan, trying to escape using its teeth and tongue? To his friends and family - I hope it is of some comfort to hear how profoundly he has affected many lives. He is the author I return to time and again, and I was most upset to hear of his death. What a wonderful thing to have achieved, and what a wonderful life to have been part of. De una manera u otra,volveremos a encontrarnos,por lo pronto,asta la vista. My fist story was "To Live Forever" which I read at about age fifteen: fifty-five years ago. I have always loved his stories for their theme of an individual striving against the odds, his descriptions of far-away worlds, and his exquisite sentence-construction and word-play. And to think how much grander the World Cup would be -- with the pageants and the beautiful sheirls -- had they played Hussade instead! I discovered the works of Jack Vance in 1986 at age 15. In the following 2 years, I read all he had published sofar (that I could find). Those are simply my best Sci-Fi memories. His sense of humour, especially, sticked with me to this day. A ray of light. Seit ich vor vielen Jahren das erste Buch von Jack Vance gelesen habe, bin ich sein Fan geworden und habe versucht, alle Bücher zu erwerben, die von ihm auf deutsch erschienen sind. Leider ist er hierzulande kaum bekannt und seine Bücher wurden - wie ich erfahren habe - auch nicht gut, teilweise gekürzt übersetzt. Trotzdem sein sie für mich mit das Beste, was es in der Science Fiction gibt. My husband Ken was a relation to Jack Vance. Through my mother in law, Inez, I learned of this connection. When he was visiting Seattle, Inez visited him and talked about old times. Now that my husband has past, I wish I had the opportunity to learn more about the family. I bought several early editions - I don't know if you would call them first editions or not but they were the first in paperback - of Jack's books going back through the seventies. I worked construction then and traveled a lot. Those books endured what abuse they could absorb until they were replaced. I found it necessary to replace all of them. I own them all today, in one edition or another. I wrote Jack several years ago to tell him of my enduring regard for his work. I told him that those paperbacks had spent their short, hard lives in my back pocket. They were "working" books, and didn't last long enough to be found with brown, brittle pages after years in a cardboard box in the basement. This was some time after the publication of Lurulu. I had long regarded him as my favorite writer but always supposed that he received no end of compliments along these lines. Knowing that he was surely not long for the world, I was moved to write the only fan letter I remember ever writing. His son sent an email back saying that he had read my words to Jack and received a smile. I always smile myself when I think of that. Bedankt voor alles Jack! Je prachtige boeken, die mij al zoveel leesvreugde gaven, zal ik altijd blijven herlezen. Je blijft in mijn gedachten! Ich kann mich nicht an mein erstes Buch erinnern, ich vermute es war die "Sterbende Erde". Seine Bücher waren eine Offenbarung für mich, ich habe sie geliebt und habe alles gelesen, was ich von ihm in die Hände bekommen habe. "Lesen rettet Leben" und ohne die Bücher von Jack Vance wäre mein Leben ärmer gewesen. In meinem Kopf habe ich Filme aus seinen Büchern gemacht, mein Favorit dafür war die Showboatwelt, vielleicht wird es ja noch verfilmt. Danke für die gute Zeit, ich hätte gerne noch mehr aus deiner Welt erfahren, mehr von dir gelesen. So long Jack, meine Welt ist ärmer ohne dich, aber auch reich durch dich. This has taken many months to write. Then with bowed head went to his room. Into a cup of dragonbone. And mused; a sadder, wiser man. what can be said for having read JV for the first time? Can it be compared to anything in life or literature? First kiss? First child? A summers day? Jack cracked our cosmic egg.He revealed worlds and weaved words with the best of them.I have never copared his writting to his genre,but rather to Joyce,Beckett,Pound.Some day his works of art shall receive their just due, like the deapairing Mozart. You were a giant 'mongst pygmys, Jack,and you now ride on eagles' wings. YOU ARE GONE BUT YOUR ART REMAINS! I only just found out. There are so many worthy tributes here there is little I can add. I have visited Jack's worlds for over 40 years and hope to continue for another 40. Mr. Vance is easily my favorite writer. America definitely lost a literary treasure with his passing. His command of the English language is superb, perhaps inimitable. I will forever take pleasure in reading and re-reading his works.... and I will continue to do so until my final days. your voyages, not books, have been a gift which lifted my mind. I stumbled upon the site jackvance.com only now, but know that I have been an avid reader of your stories in my youth,italian versions of your work,cause I live there... and even now I enjoy reading of yours every now and then. I was very saddened by your departure, but I do understand that you lived a rich and satisfying life, so I can only hope to follow you by your trail, if I am lucky enough. I discovered Jack Vance's sci fi writings during the 1980s, with the Demon Princes series, then worked back to his earlier novels and short stories. I continue to read and re-read them to this day with great pleasure. Vance's plot-lines, characters, and rich cultural syndromes are unequaled in any genre. Jack Vance is by far my favourite writer. He's somebody who I rate higher than any fantasy or SF writer I know, without wanting to do them any injustice. He is just so damned good. The pleasure of his stories is that I can read them again and again, in an almost yearly cyclus (for about 30 years now). Still I discover new elements and enjoy his incredibly sofisticated sense of humor. Imagine yourself sitting in the sand on a beach, with your feet in water, in your left hand a rum punch or a cold beer and in your other hand Trullion. Unfortunately I never combined those 4 elements, but that's how I imagine what perfect relaxation could be. Thank you again, Jack, for the happiness, enjoyment and pleasure you still share through your writings. Have been reading Jack Vance since about 1975. My first book off you was Tschai, and from the moment I starting to read you are my favourite author. Now I have most off your books ( Translated into Dutch ) read, re-read and re-re-read. There will never again be a writer like you Jack. Wherever You are now, I'm sure there's a new star shining somewhere in the Galaxy. I found Jack Vance's work through a reference made by George RR Martin a couple of years back. I read The Dying Earth series, followed by Lyonesse, followed by Planet of Adventure and on it went... I have now worked my way through over 40 of his novels, novellas and shorts and have found myself truly entertained throughout. I was incredibly sad to hear of Jack's passing last year, not least because once i finish his final work there will be no more, but also because the world has lost a literary great without really realising it had one. Forever grateful for the stories he told. My father used to read Jack Vance and I started myself when I was approximately 14 years old. His stories transported me in such wonderful worlds! He conforted me when life was rough,and when my father died when I was 25, I felt I could still share something with him through Jack stories. Thank you Mister Vance for all this happiness! I sure hope you are now in one of those marvellous world! I feel the death of Jack Vance as a personal loss. The way he could discribe in a very convincing way an entire (alien) culture within only a few sentences! His imagination was unbelieveable wide and open. He inspired me in my work. My humble respect to the great master, who was almost like a close friend through his works. Thanks Jack! I has almost been a year now. The world seems to have lost some of its magic knowing there will never be a new Jack Vance story to discover. Such a sad loss to his family and all who enjoyed his work. I have read and re-read Jack's books so many times, they will always give me great enjoyment. I'm starting to read them to my sons who are as spellbound as I was when I read my first Vance, his work will go on forever. Découvrant Jack Vance au début des années 60, je fus un adolescent émerveillé au premier sens du terme, je n'ai cessé de le lire et le lis encore. Je n'ai qu'un regret que son autobiographie " This is me, Jack Vance " ne soit pas traduite en français ! Merci Monsieur Vance ! In December 1963, I was a 13 year old who discovered Jack Vance through the first installment of "The Star Kings" in Galaxy magazine. One peek inside Smade's Tavern and I was hooked. My fave Science Fiction author. The most loving use of the English language by an American author since Poe. The most all-embracing love for "humanity" since Dickens. The sharpest satirical skewer since Swift. Best Wishes to the Vance Family. I first discovered Jack Vance at the end of the 50's. I have read and re-read his classic stories time and again. No other author has affected me so. I am deeply saddened to hear the news of Jack's passing. I haven't read all his books, but enough to be swallowed up each time by his seemingly familiar foreign lands of charismatic yet chaotic characters. I have never had the same reading experience - where I *don't* question Jack's fanciful words of mystery and intrigue, although I feel I wouldn't find them all in a dictionary if I looked. Of all my favourite authors, Jack Vance is the one to whom I have always returned. A single paragraph can conjure a million details. A single idea can leave me thinking of it for days. As rich as a field of stars. As deep as the soul. But always as true as a close and trusted friend. Break out the pale lavender wine, pressed from Almery grape. He is no more, and the sun will soon likewise extinguish. For what has the sun to sputter for, now that the chronicler of its perturbations has departed. Drink, drink one and all, and let the sun be extinguished! I first read the Eyes of the Overworld at the age of about 12, and it changed and expanded my mental horizons (as well as greatly enlarging my vocabulary!). It was life changing for me. I have been quite ill in recent years, and have only just learned of your passing. You were truly one of the greats. I am almost 40 now, and you are still the only author I can re-read to infinity. I carry your words in my heart wherever I go. Thank you.